Michael Davidson, partner at Turner Law, P.C. Mr. Davidson focuses his practice on public finance, affordable housing, community development transactions, and general real estate. He represents several nonprofit and for-profit developers, banks and governmental entities in affordable housing and community development projects. Mr. Davidson has worked as bond counsel, underwriter’s counsel, borrower’s counsel, issuer’s counsel, trustee’s counsel, and liquidity and credit provider’s counsel in a wide variety of transactions. Within the past decade, he has handled more than 50 transactions with an original principal amount totaling more than $4.5 billion. His experience includes general obligation bonds and revenue bonds; taxable and tax-exempt offerings; auction rate securities, tax credit bonds, variable rate demand bonds as well as fixed rate bonds; bonds enhanced with bond insurance, standby bond purchase agreements and letters of credit; as well as the issuance of bank qualified bonds and notes. His relevant experience includes serving as bond counsel to Montgomery County in a competitive sale of bonds under the local government unit debt act. This was the County’s first transaction since the SEC’s Municipalities Continuing Disclosure Cooperation Initiative. We helped the County update its disclosure and prepared all offering materials. We also handled all of the bond counsel functions to ensure tax, securities, and state law requirements. Mr. Davidson has also worked with developers of numerous low-income housing tax credit projects including acting as counsel to a large non-profit developer, owner and manager of affordable rental housing in connection with a large scattered-site project. In this representation, the developer was able to preserve and upgrade 138 units of affordable housing in the developer’s inventory and located in 14 separate buildings across the City of Philadelphia. The project was financed with 4% low-income housing tax credits, tax-exempt bonds issued through the Philadelphia Authority for Industrial Development, as well as federal, state and local governmental grants and loans and a private bank loan. Mr. Davidson’s representative experience also includes representing a joint venture between a for profit developer and a nonprofit manager who were partnering to acquire, develop and operate a brand new affordable housing facility in a City in the Marcellus Shale region of Pennsylvania. This project involved the re-use of an environmentally-compromised site and the first use of the State’s PHARE funds (generated from the Marcellus Shale impact fees) for an affordable housing project. Prior to joining Turner Law, P.C. 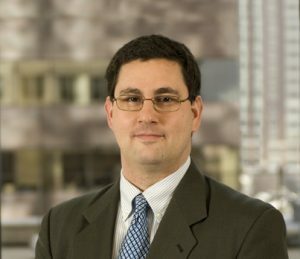 Mr. Davidson was a shareholder with Fineman Krekstein & Harris, P.C., counsel in the real estate practice at Wolf Block, LLP and an associate at Duane Morris, LLP. Mr. Davidson graduated with Honors from Swarthmore College in 1991. Mr. Davidson earned his Juris Doctor from the Law School of the University of Pennsylvania and his Master of Governmental Administration from the Fels Institute of Government of the University of Pennsylvania. He serves on the Board of Federation Housing, Inc., the Philadelphia Association of Community Development Corporations, and Mission First Housing Group.